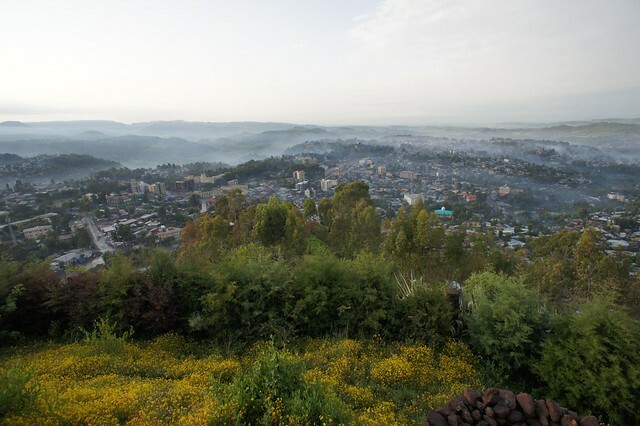 Gondar is a buzzing, noisy City where muddy streets crammed with basic shacks sit cheek and jowl with modern housing estates and one of Ethiopia’s largest and best Universities. 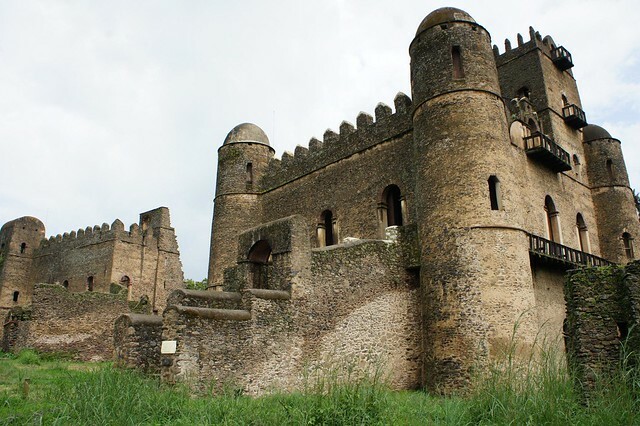 From 1636 to the 18th Century, Gondar (also spelt Gonder) sat prominently as the rich and powerful capital of Ethiopia. 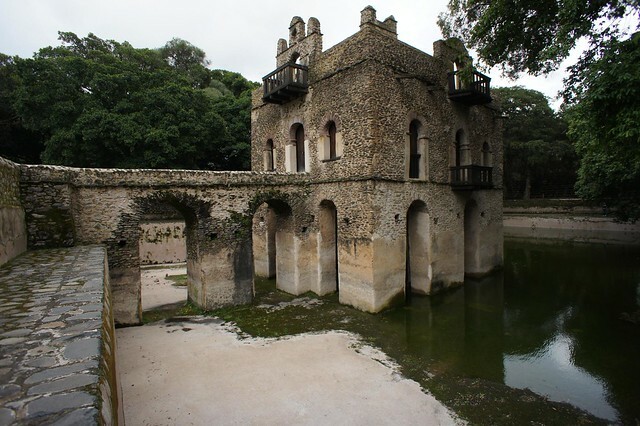 Established by King Fasilades, the Royal Compound is a UNESCO World Heritage Site bringing an intriguing touch of Camelot to Africa. The intrigues, brutality and riches of court life are brought to life as you wonder through the well restored castles and palaces. 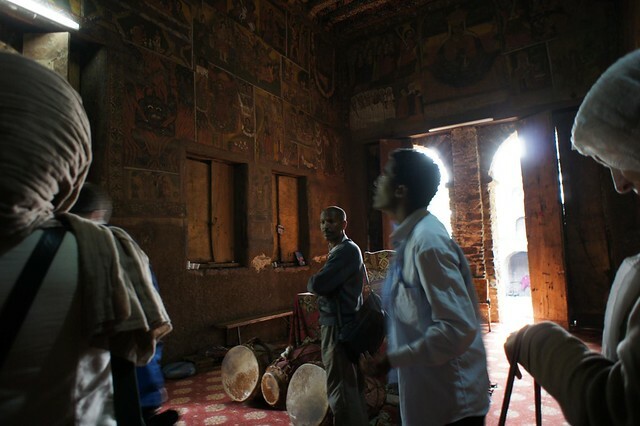 From the same period, Fasilades Baths are well worth a visit, and the church of Debra Herhan Selassie contains some of the finest religious art in Ethiopia. Incredibly vibrant and evocative images are laid out in a comic strip style depicting the stories of saints and martyrs. Highlights include a startling portrait of the devil, cowering in the flames of hell and multiple blood splattered decapitations that a Hollywood director would be proud of.